Situated on the outskirts of this charming old town and at the heart of the Regional Natural Park of the Catalan Pyrenees, the residence of Le Clos des Fontaneilles is the perfect place to relax, surrounded by nature. The inviting reception, with its huge central open fireplace and relaxing sofas is a great place to sit and watch the world go by. 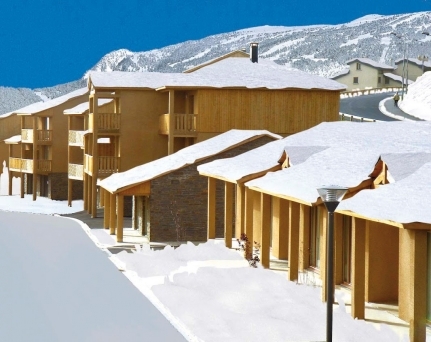 The residence has the feel of a small village – a central path leads you through the small, two-storey buildings. 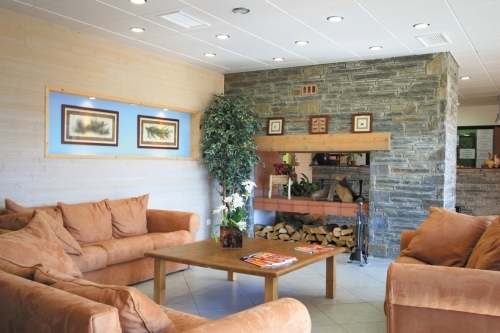 The residence is perfect for a cosy stay with family or friends. 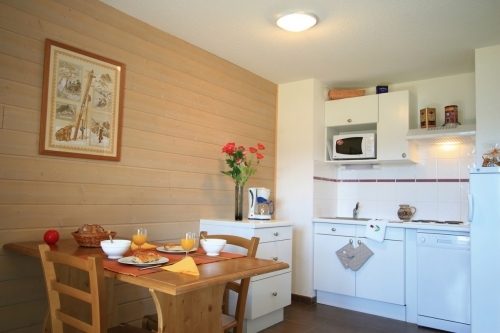 The apartments have a mountain feel to them and are furnished with well-equipped kitchens and modern conveniences. 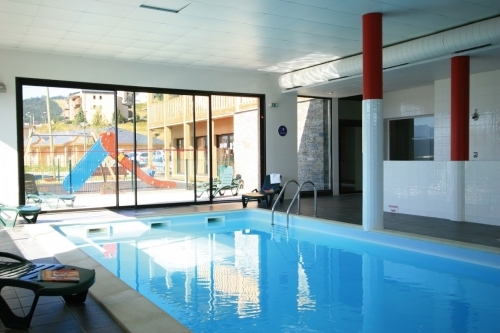 The residence also boasts a heated indoor pool with massage jets - a great place to relax those aching muscles after a day on the slopes - along with a sauna and small fitness room (on request - payable: €3/pers/30 min). 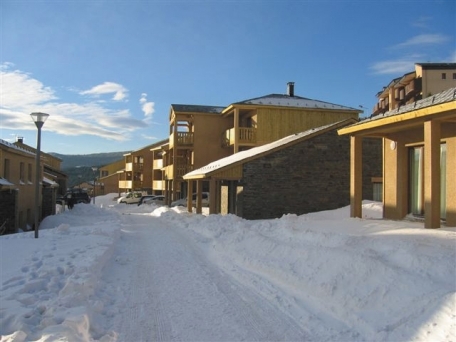 Located just 600m from the slopes you can be on the snow in no time at all, breathing in the fresh, crisp, mountain air of the eastern Pyrenees. 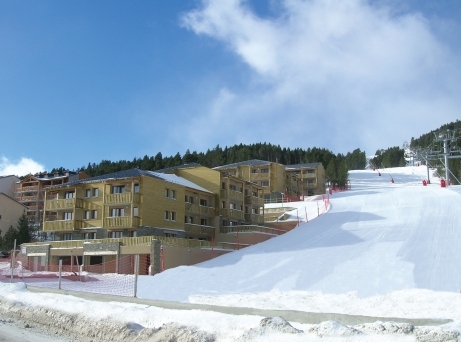 The resort centre is equally just as close which means bars and restaurants are just a stroll away where you can gorge on delicious Catalan-inspired French cuisine. 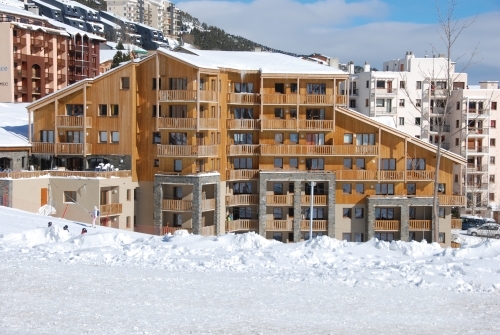 The 77 cosy and modern self-catering ski apartments are furnished in a mountain chalet style. They all have a well-equipped kitchen with fridge, dishwasher, microwave, electric hob, coffee machine and most apartments have a balcony or terrace. 1 Bedroom Apartment sleeping 4 (ca. 29m2): Open plan living/dining area with sofa bed (converts to 2 singles beds), 1 double bedroom, bathroom with WC. 2 Bedroom Apartment sleeping 6 (ca. 37 - 42m2): Open plan living/dining area with sofa bed (converts to 2 singles beds), 1 double bedroom, 1 twin or bunk bed bedroom, bathroom with WC. 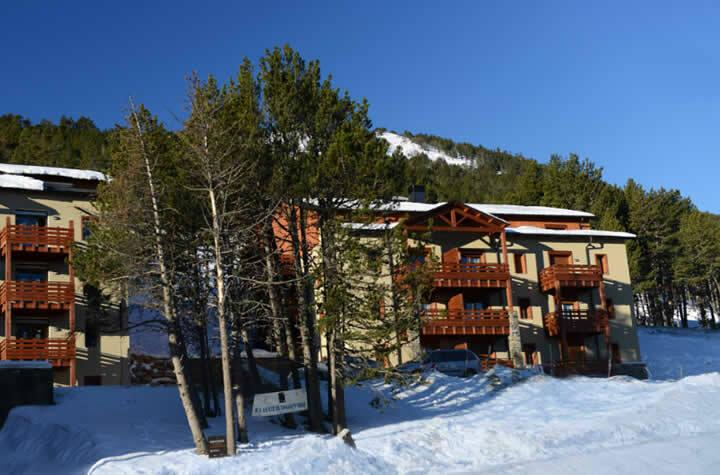 Fully equipped apartment, bed linen, free access to the pool with massage jets and sauna, small fitness room, ski locker, free Wi-Fi at reception, free outdoor parking (subject to availability), baby kit (chair, cot and bath, request at time of reservation, subject to availability). Optional garage parking (height limit 1.80m): £26/car/week (bookable and payable on arrival only - subject to availability). Comfort Pack (includes bed linen, bath set (1 bath towel, 1 hand towel) and TV): £45/1 Bed Apt sleeping 4; £60/2 Bed Apt sleeping 6. Zen Pack (includes end of stay cleaning, bed linen, bath set (1 bath towel, 1 hand towel) and TV): £81/1 Bed Apt sleeping 4; £96/2 Bed Apt sleeping 6. End of stay cleaning (kitchen area and dishes exempt): £45/1 Bed Apt sleeping 4; £56/2 Bed Apt sleeping 6. Cleaning kit (dishwasher tablet, small multi-purpose detergent, steel and Cif cream, dish cloth and sponge): €10/kit. Apartment kit: (mop, bath mat, 2 cleaning cloths & cleaning kit: €17/kit. Bath set (1 bath towel & 1 hand towel): €7/pers. Full Wi-Fi internet access: €15/week. Arrival day at Le Clos des Fontaneilles is saturday 17:00 - 20:00 and Departure by 10:00.